Between out-of-the-camera photography and pure abstraction there are endless intermediate possibilities. And they are where my main interest lies. My works often involve introducing degrees of abstraction to a photographic image. The idea is to bring out latent aspects and nuances present but masked in the original image. 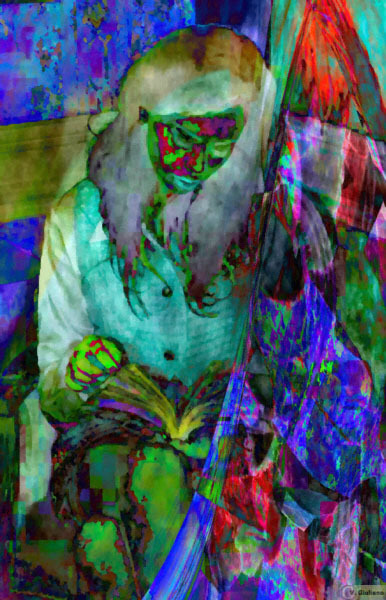 This work, showing a woman reading a book, perhaps suggests some of the inner processes the book may be stimulating within her. The original image was not terribly interesting. The trick in this kind of work is mastering the possibilities for abstraction, and then picking the right kind and degree of abstraction to introduce, if any.